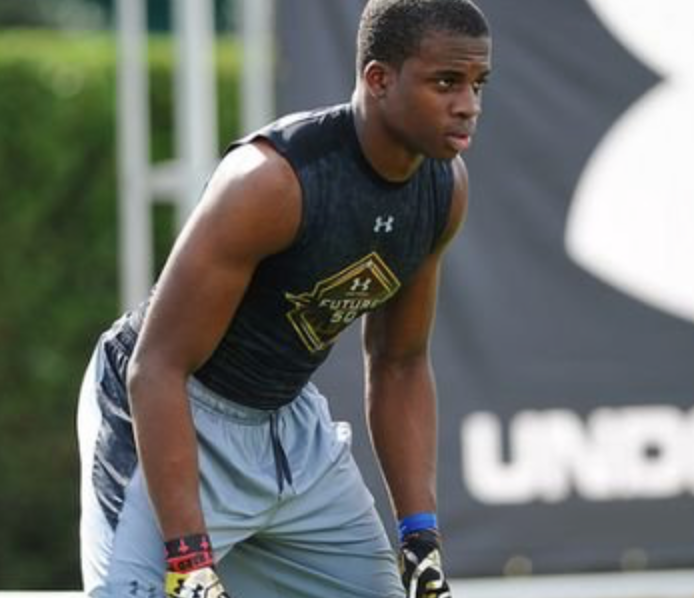 Shirts With Random Triangles: Georgia Adds 5-Star DE Robert Beal To Its 2017 Recruiting Class. Georgia Adds 5-Star DE Robert Beal To Its 2017 Recruiting Class. Robert Beal. Image via College Spun. 247Sports.com grades Beal as a composite five-star weak-side defensive end. The recruiting website ranks Beal at no. 2 among 2017 Weak-side DE prospects, at no 6. among 2017 prospects from the state of Florida, and at no. 30 in its composite national rankings of 2017 prospects. Beal will be attending IMG Academy in Bradenton, Fl. this coming school year. He stands 6'3.5, and weighs 230 lbs.